At Linagora, we are developing a lot of awesome open source software and the open collaborative platform OpenPaaS is one of those. Now, OpenPaaS team started implementing single sign-on(SSO) for OpenPaaS. 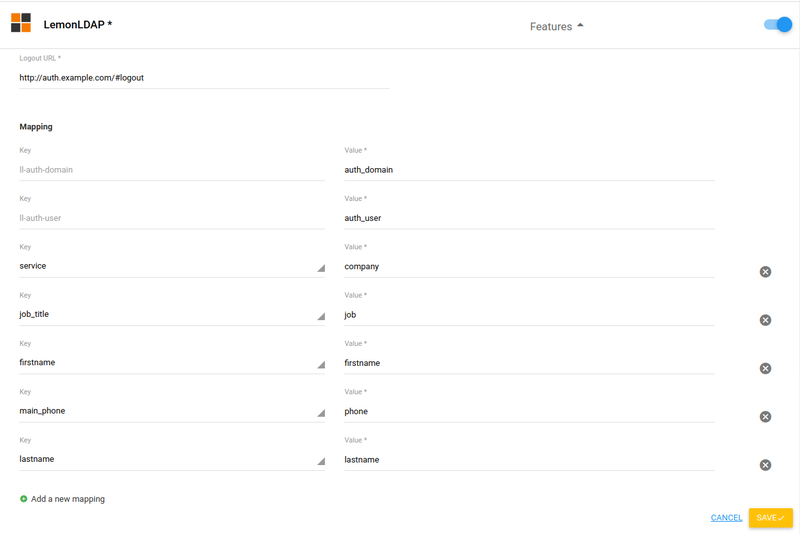 SSO is a form of access-control that connects multiple related, yet independent software systems like what we are having here in Linagora (OBM, LinShare,etc) by a single user database. Now OpenPaaS supports SSO by LemonLDAP as a external module. LemonLDAP protects OpenPaaS behind a proxy, OpenPaaS then authenticates users by reading HTTP trusted-headers forwarded from LemonLDAP. See more about it here. User is redirected login page of LemonLDAP where they can log in. LemonLDAP will check to see whether there is an existing SSO cookie. If this is the first time the user visits this portal page, and no SSO cookie is presented, they need to be presented with username and password fields. LemonLDAP will set a SSO cookie for first time login or update cookie otherwise. LemonLDAP will prepare a SSO cookie for first time login or update cookie otherwise. OpenPaaS gets the user information by reading the trusted-headers forwarded from LemonLDAP, converts it to OpenPaaS user. This information is then provisioned to OpenPaaS user database. I will introduce how to install LemonLDAP::NG with Nginx on Debian in another article soon. Once enabled, this module will be loaded with OpenPaaS and ready to work. The next step is to configure LemonLDAP virtualhost to protect OpenPaaS. In the same page, change the Default rule to unprotect to allow other resources of OpenPaaS to be accessible normally from outside. To avoid OpenPaaS redirect users to /login page when the session in LemonLDAP expired but still life in OpenPaaS, you need to set the session timeout in LemonLDAP shorter than in OpenPaaS (for now is 6000000 milliseconds). This module provisions users automatically on their first login. It converts the authenticated user information in trusted-headers to OpenPaaS user and creates a user instance on the storage layer (MongoDB). In the next logins, this module will perform re-provision to update user information if user has any change his information. The configuration is applied for the whole application so it must be platform-wide configuration, you can configure LemonLDAP mapping in Administrator module at platform mode. In this case, OpenPaaS redirects the user to a logout endpoint of LemonLDAP after he logs out from OpenPaaS, hence the user is fully logged out from both services. You can configure LemonLDAP logout endpoint in Administrator module at platform mode. so you should unprotect this URL if it is protected by a LemonLDAP Handler. Forturnately, this is done above by setting the Default rule to unprotect. The OpenPaaS Admin Team implemented the LemonLDAP logout and configuration in our latest sprint. Here is the demo video. That is first step we achieved when implement SSO with OpenPaaS. In the next step, OpenPaaS team will deploy SSO on production with an already implemented LemonLDAP service for OBM system and hope it brings good experiences for users. Keep in touch with us on Github, Twitter and don’t hesitate to apply to our jobs offers. LemonLDAP awesome module is developed by OpenPaaS team. Thanks to Dũng Phạm, Michael Bailly, Christophe Hamerling, and Sang D. Ngo.